The government has already issued 139 notifications mandating the linking of Unique identification Number with various schemes including MNREGA, old age pension scheme, and provident fund. 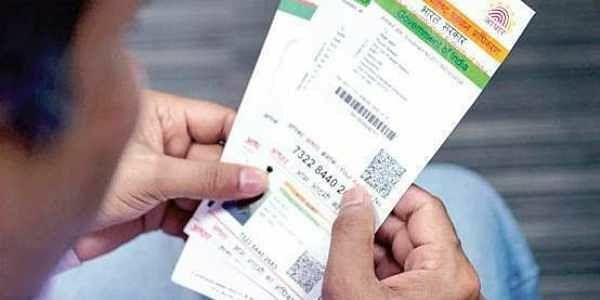 NEW DELHI: The Supreme Court today reserved its interim order for tomorrow on a batch of pleas seeking a stay on the government's decision of mandatory linking of Aadhaar with various welfare schemes, as the Centre extended the deadline up to March 31 next year. Attorney General K K Venugopal, representing the Centre, said the government was willing to extend the deadline up to March 31 next year for mandatory linking of the national biometric identifier to avail the benefit of various services and welfare measures. Venugopal, however, told the bench, also comprising Justices A K Sikri, A M Khanwilkar, D Y Chandrachud and Ashok Bhushan, that the Aadhaar should be allowed to remain mandatory for opening of new bank accounts. The government had yesterday issued a notification to extend till March 31 the deadline for mandatory quoting of Aadhaar and Permanent Account Number (PAN) for bank accounts and certain financial transactions. However, there is no word on extending the February 6, 2018 deadline for linking mobile SIM cards with Aadhaar. On the issue of linking of Aadhaar card with mobile services, the Attorney General said that the deadline of February 6 next year was fixed in pursuance of an apex court direction and the constitution bench may consider extending this deadline also. On November 27, the apex court had said it may consider setting up a constitution bench to hear the pleas challenging the Centre's move to make Aadhaar card mandatory for availing various services and benefits of welfare schemes. They have also objected to the CBSE's alleged move to make Aadhaar card mandatory for students appearing for examinations, a contention denied by the Centre.